Author James Robertson, one of America's most respected Civil War scholars and storytellers whose weekly talks about little-known people and events of the Civil War aired for 15 years on National Public Radio, brings history to life here in a collection of unexpected and true stories revealing the events that took place as great events unfolded. He explores such gripping subjects as the post-battle horrors of the wounded, the destruction of Robert E. Lee's aura of invincibility, and the invention of a new way to remove the wounded from the battlefield. In addition, an introductory overview of the Civil War traces the major events of the conflict year by year. 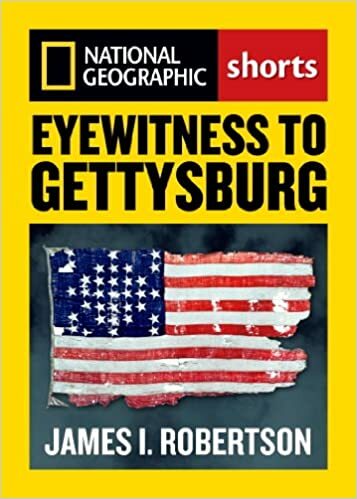 Painstakingly researched and deeply personal, this ebook offers a unique reading experience for the millions of Civil War buffs and all those interested in the previously untold stories behind this great chapter in America's past. Seddon had won his point. Seddon was a Virginian, but after Chancellorsville he proposed detaching Maj. Gen. George Pickett’s division of Virginians from Lee’s army and sending it to relieve Vicksburg, which was under mounting pressure from Maj. Gen. Ulysses S. Grant. Lee strongly objected, arguing that the division might arrive too late to save Vicksburg and warning that unless he retained all his forces and received reinforcements, he might have to fall back to the defenses around Richmond.